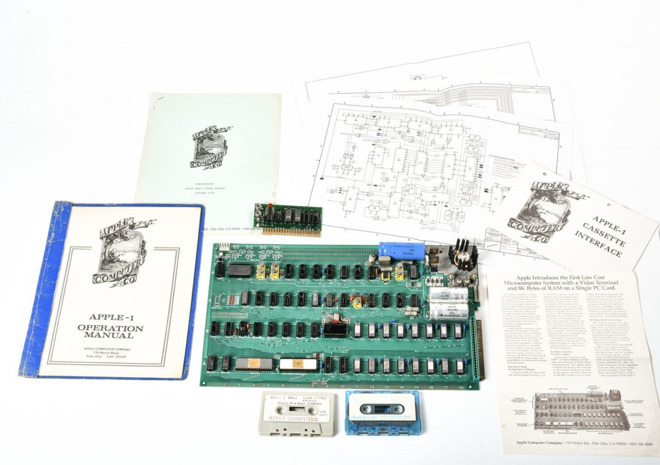 Cosmetics tycoon Glenn Dellimore purchased the "Celebration" prototype Apple-1 board, and believes that it is the "holy grail" of modern computing and has a future value similar to that of Monet or Picasso paintings. The auction fell short of the original million dollar estimate on auction site CharityBuzz, and could have sold for far more. Dellimore ultimately paid $815,000 for the one-of-a-kind piece. "When the auction was taking place, I realized we'd actually be in the air when it ended. Just as our wheels touched down, there were 30 seconds left in the auction and I was actually outbidded [sic] with 37 seconds left," Dellimore said. "I think the bid was $270,000 when I looked, and then it went up again, and I kept going bidding with someone else until it was $515,000." Dellimore then just entered what he called a "large number" and claims that he may have gone as high as $2 million for the board. "Talking to historians and museums and auction houses, this particular Apple-1 in 10 to 15 years, could be worth as much as a Monet or Picasso," Dellimore told Business Insider. Dellimore and his wife also own one of the functional Apple-1 computers previously sold at auction. "The possibility of it being the number one, the very first prototype that Steve (Jobs) worked on, and with the way over time Apple has changed the world, this computer is the holy grail of computers," added Dellimore. "It is the most important computer on the planet." The "Celebration" Apple-1 board came with the most complete set of documentation yet, marketing materials, a period-correct power supply, an original cassette interface board, and early Basic cassettes with boot instructions signed by early Apple employee and coder Daniel Kottke. Apple co-founder Steve Wozniak believed that no boards of the type up for auction were ever sold to the general public. It is believed that the board could be powered up, but the appraiser recommended against it to maintain the original configuration of the 40-year old computer. In October 2014, one of 50 known surviving Apple I computers was sold at auction for $905,000, beating expectations for that sale, and topping a previous record of $671,400.